You tend to be conscious with your body once you heard “You look fat today”. Not all people have time to go to the gym or run around your building for a jog. People that are so busy with their work or busy taking care of their children sometimes have no time with themselves. When you say “lose weight”, it doesn’t mean you need to exercise hard. Although exercising is not only for weight loss but for your overall health also. But the question is, “do you have time for that?”. If no, then this is the right article for you. We don’t really urge ourselves to lose weight just for the sake of other people. Most importantly is for yourself. Even how hard and difficult or busy you are, you still have time to look good and take care of your body. 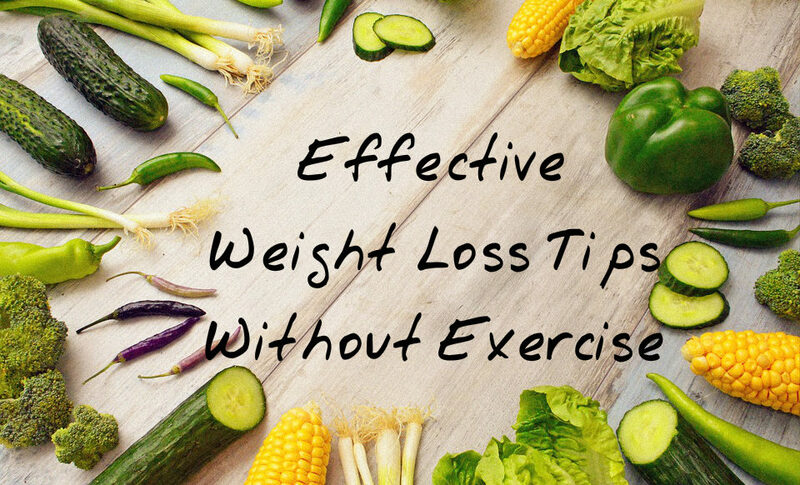 If you are worried now and want to lose weight quickly, you can do it without exercise. It sounds crazy but it is very possible. We love to eat unhealthy foods like curls, noodles, the food contains a lot of sugar etc. The more we eat it, the more look for it. We tend to stock chocolates, candies in our closet. Start to stock healthy and fresh foods from now on. Research shows that if you properly chew your food, it will properly digest also. Gulping down your food can prevent your intestines from releasing hormones. It is one of the weight loss tips that everybody forgets to do. If you see that your plate is huge, sometimes you want to fill the empty space. If that happens, you will not realize that you are eating a lot too. 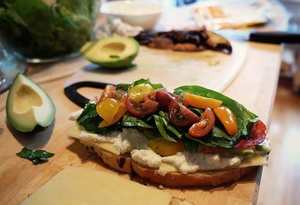 More food load up in your plate, the more calories you can eat. If you use a smaller plate, the lesser food you can eat. You can trick yourself in eating more. Stress can lead to stress eating. The more you become stress, the more food you crave. Sometimes you want to forget all your problems by eating. There is nothing wrong with that but we tend to eat unhealthy foods. In this weight loss tips, you will see how much stress and lack of sleep will affect your body structure. If we stress out over things, we don’t always move our bodies. It will result from unhealthy weight gain that is bad for our health. Cut down on sugar. Eating too much sugar can cause fat gain, diabetes, inflammation, and other health problems. For now, cut down your favorites like ice cream, candies, chocolates, cakes etc. You can eat but not too much. Watch out what you eat. You may think, “What is the connection of brushing your teeth in losing weight?”. Well, there is. You can cut your cravings by brushing your teeth after you eat. It will not taste good to eat with some minty thing on your mouth, right? Then it will prevent you to eat extra food after each meal. It is very effective, especially after dinner. We tend to eat snacks while watching TV until we fall asleep. Belly Fat is the most difficult fat to lose. In fact, there are diets and pills that focus directly on stubborn belly fat. The fat that is stored around the belly is only used by the body during times of starvation or pregnancy. If you are a man… the only option you have is starvation if you want to get that six pack back. Fortunately, Slenderiix makes losing belly fat easy. Just take the drops to follow the system and you will see results as you have never seen before with any other program. In fact, you could lose up to ¾ pound per day. 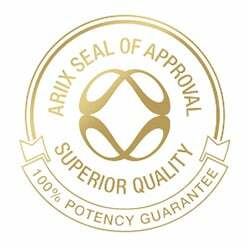 To know more about weight loss tips and Slenderiix, visit our website AriixProducts.com.